Sundtek MediaTV Pro/Gold are the world's first USB DVB-C, DVB-T, AnalogTV, Composite, S-Video, FM-Radio devices which are fully supported with Linux, our technology provides support for the entire 2.6.x Linux Kernel Series, unpatched Kernels are supported from 2.6.15 on. An installation usually takes a few seconds only. The driver installation is currently mainly done on the console, we are working on providing a graphical installer lateron. The driver is developed by Sundtek Ltd. and runs as normal application (in userspace), if unexpected problems occur the system will not be affected by it, aside of that it has the advantage that it is not bound to any particular kernel version which makes difficult compiling unnecessary. * Linux (Ubuntu, Redhat, Suse, Fedora, Mandriva, Gentoo, Mint, etc. die Software funktioniert uebergreifend und ist an keine spezielle Version gebunden). 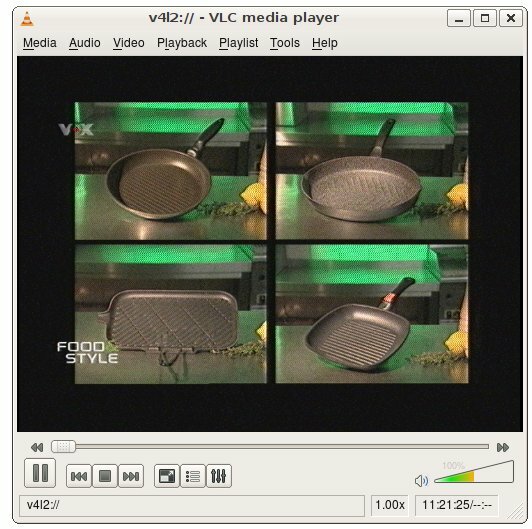 The menu will guide you through the setup, and you'll be able to watch TV using VLC within a few minutes. The powersaving will be activated after 15 seconds of inactivity, after this time the device will start to cool down. Powersaving also increases the lifetime of the USB TV device. it's possible that some applications already access the device driver during the bootup. This will cause the device to be set to the corresponding device mode. please note tvtime does not support audio playback by itself, the multimedia framework itself is taking care about it, this also shows up the audio process being connected to the driver. 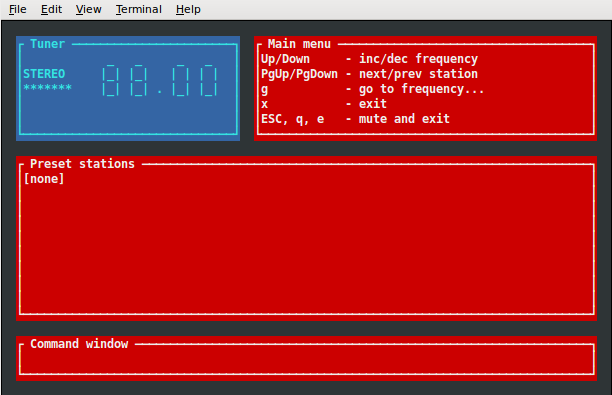 There are some useful pulseaudio tools available (for example pavucontrol). Pavucontrol allows to individually configure the audio volume. Since pulseaudio is not stable yet it might happen that the driver switches back to Alsa during the runtime. whereas n is the videodevice (accordingly to /opt/bin/mediaclient -e) and i how often the signal should be read. If i is smaller or equal 0 the signalstatistics will only stop when the user interrupts the application. The configurationfile /etc/sundtek.conf can contain 2 parameters, device_attach and device_detach. Those parameters can be used to start or reinitialize applications after the driver initialized a device. 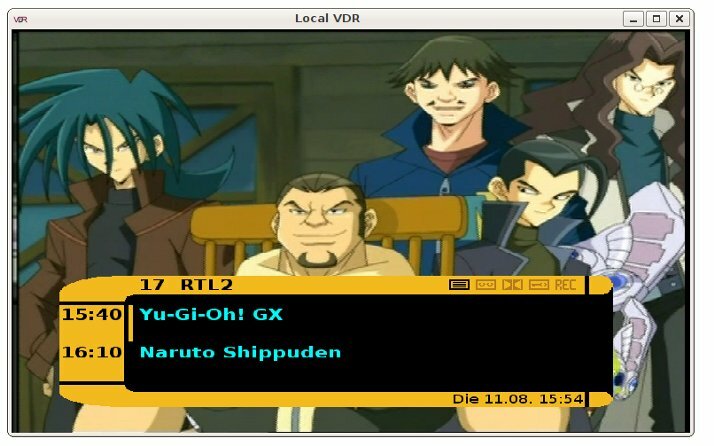 Changing the transfermode for DVB-T/C from Isochronous to Bulk (some embedded PCs do not support Isochronous transfer with linux), this option can also work around some possible kernel isochronous bugs which are in 2.6.26-2.6.29 and 2.6.32.9 - 2.6.33.1. In order to use the hardware PID filter it needs to be enabled. The USB TV tuner supports up to 15 PID filters. The PID Filters can lower the required USB 2.0 bandwidth significantly - this is recommended for embedded PCs. Benötige ich den USB-Empfänger oder kann der Mediastick dies? Wenn ich noch ein USB-Teil an meinen HTPC anschliesse, sieht er aus wie ein Igel und fliegt dann wohl aus dem Wohnzimmer raus. Gibt es für diese Fernbedienung mit dem Mediastick irgendwelche .conf's? Mag sein, ich bin zu blöd, aber wäre es nicht schön, wenn in diesem Forum HowTos und DoKus von"vorne bis hinten", d.h. vollständig dargestellt würden und nicht immer nur ansatzweise: Wie "friß oder stirb?" Der USB Empfänger unterstützt RC5, RC6 und NEC, der USB Empfänger hat einen eigenen Sensor, praktisch funktioniert jede Fernbedienung welche diese Protolle unterstützen. Die angegebene Fernbedienung funktioniert ohne zusätzlichen USB Sensor. (bitte beachten dies ist das englische Forum, wir werden diese Frage demnächst in's deutsche Forum verschieben). Wir hatten vor einiger Zeit noch ein Wiki für die Dokumentation, das Wiki wurde jedoch aufgrund der Spamproblematik vom Netz genommen. Da wir dieses Problem mittlerweile insbesondere im Forum unter Kontrolle bekommen haben können wir das demnächst nocheinmal angehen. Na das wäre doch eine super Idee. Ich hätte da noch eine - wie wäre es, den Mediastick mit einer vernünftigen Fernbedienung incl. lirc-Support zu verkaufen? Meine mitgelieferte sagt keinen Mucks mehr und geht jetzt retour. Hab mir das Terratec - Teil bestellt. Im having a problem with my ubuntu 10.04 installation. 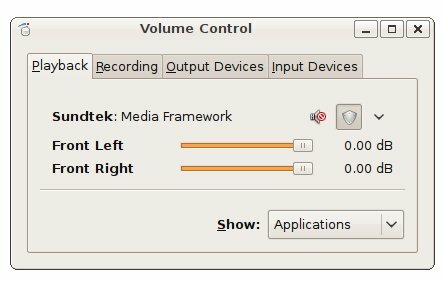 When installing the sundtek driver, my hauppauge remote stops responding. "sudo rm -rf /etc/udev/rules.d/80-remote-eeti.rules /lib/udev/rules.d/80-remote-eeti.rules"
This however does not work in the 10.04 installation. I also have tried to delete "/opt/bin/lirc.sh" but nothing helps. Those steps are correct, but you need to reconfigure the Hauppauge Remote control again. Any tips to get it working on my machine (works great on my old laptop with Ubuntu 11.10). Did you verify that the download was complete? Plesae try to install the .deb Package on your system. 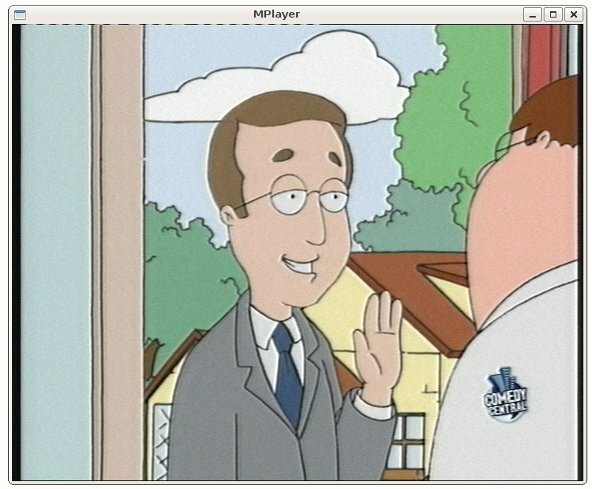 We just tested the installer on Ubuntu 12.04 and it does not cause any problems. Since the architecture check already fails (that is what checking sytem ... Your system is currently unsupported means) it seems like your download is corrupted or incomplete. I tried all relevant installation methods (installer, netinstall and the deb (it seems to download and execute the netinstall script), the downloads where complete. But all resulted in the same failure. Anything I can try, or information I can provide to help resolve this issue? You might contact our support via skype "sundtek"
We still believe that your download is corrupted, the architecture check only tries to run a 32 or 64bit application on x86. Once this fails it means that your system cannot run any application. This would be the very first installer issue on x86 since the beginning of our driver support. However please contact our support to investigate what's wrong on your side. I'm quite sure the download is ok. What I did now is the following, download the full installer, put it on a USB drive and install that on my old laptop. All 100% ok. So it seems that "/tmp/.sundtek/vusolo/installer.tar.gz" is missing. My problem was solved (thank you for your support). The issue was that my /tmp was mounted with the noexec option. The installer uses /tmp to execute commands and was unable to do so. Removing the mount option solved the issue. 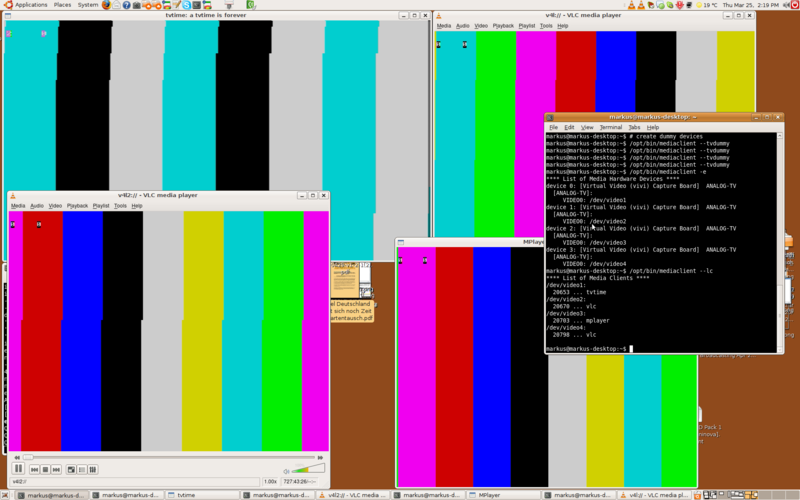 noexec is not the default on /tmp, so nothing we or Ubuntu seem to influence in the end. The driver by default uses /tmp for extracting and installing.